When returning from a long day at work, the heart craves for some comfort food. Comfort food is different for different people. 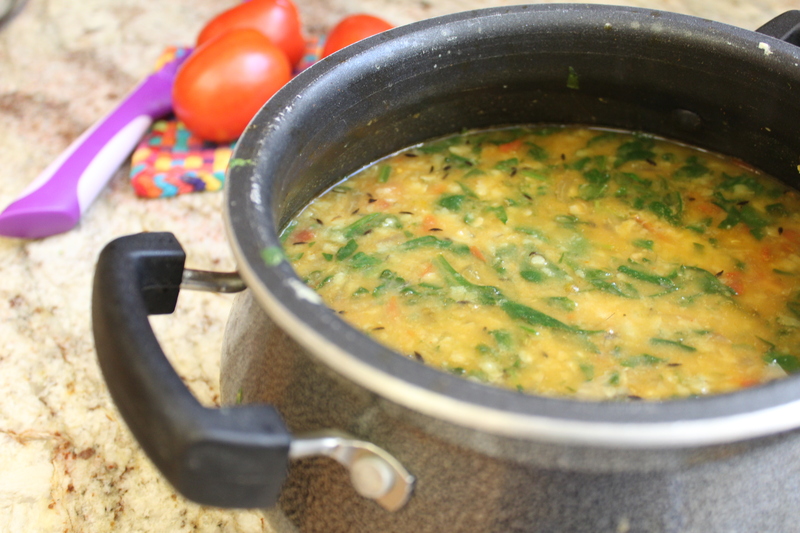 For me a simple dal palak (lentils with spinach), bring a certain warmth to my heart and soothes my soul. One would think simple food is easy, but that is no always so…it is very easy to mess it up. So today, I bring you my own recipe that is simple food at its best. 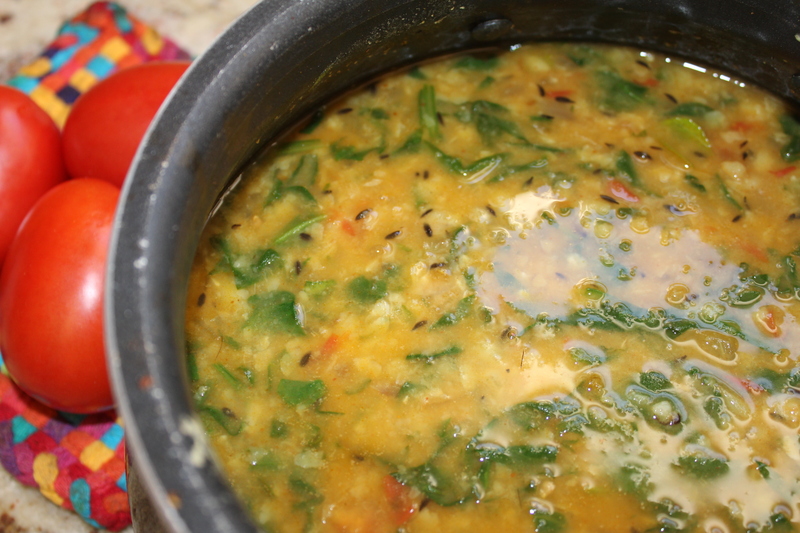 First step is to cook the Dal. I prefer to use the pressure cooker since this is the fastest way. but if you don’t own a pressure cooker, you can cook it in the pot just as well. Coarsely chop up the spinach. Put it aside. Pour some sesame oil in the pot and once hot, put the cumin seeds and let it crackle. Add the ginger and green chillies. After one minute, add the onions and roast until light brown. Add the spices (turmeric, cumin, coriander and chilli powder) at this time. Cook for another 2 mins. Chop the tomatoes finely and add to the mixture above. Let the tomatoes fry until soft and then add the spinach to this mixture. Let it all cook a bit until the spinach wilts. 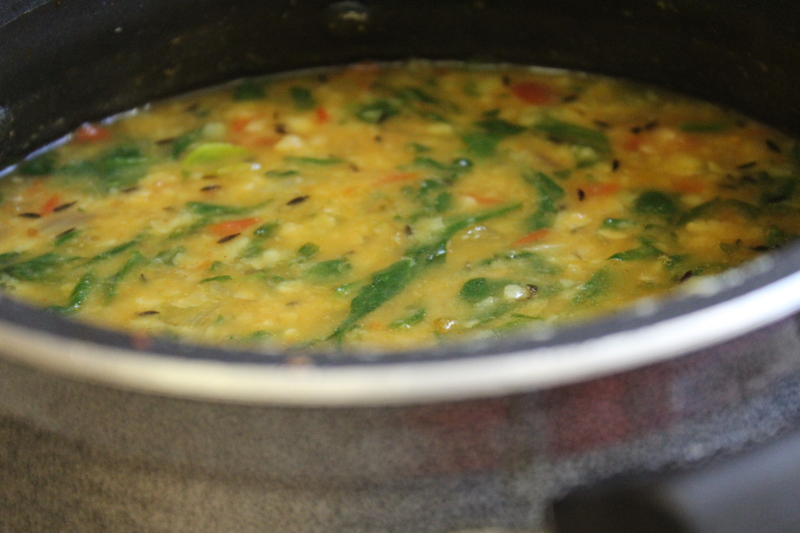 Once done, add the Dal to this mixture. Add salt according to taste. Cook for another 3-5 mins in low flame. That’s it. Simple but really tasty comfort food.